As an independent restaurant owner you have the luxury and power of writing your own story in a way that many people envy. To not take advantage of that looks more like a wasteful tragedy than missed opportunity. In the restaurant industry, we all know our ticket times and we cancel a reservation on a Saturday night if our guests are more than 15 minutes late. So it is incongruous that people manage their businesses with a lackadaisical attitude. If you only hold a reservation for 15 minutes, and alarm bells go off when ticket times deviate by 5 minutes, why would you allow yourself to watch years go by without implementing plans that’ll have a huge impact on your business and personal life? What does that say about what is really important in your life? Implement systems that support your culture without killing it . . .
the path is clear. There’s just one last piece that must be in place for you to succeed. Plans and strategy are great. But when you hold yourself accountable to get there plans and strategies that live in a notes file on your iPad become real. When you get to the end of the accounting period and see how much you have handled, you feel enthusiastic and optimistic. I worked with an independent restaurant group full of the nicest most sincere people you would ever meet. Their food was great and much loved by a loyal clientele that had stuck by them for decades. But they felt they were missing something. They knew what they wanted to do, but tended not to get around to it. Meanwhile their segment was killing it and competitive operations were passing them by. Accountability is what made the difference for them. We built systems of accountability and relied on great relationships between management and ownership to hold each other accountable. The result was that things that had not gotten done for years started to happen Guests and employees got excited. Results increased and a platform for creative growth was created. 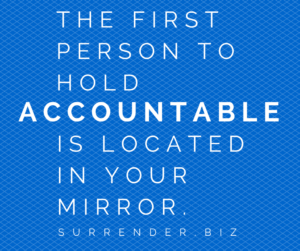 The first step in holding yourself accountable? 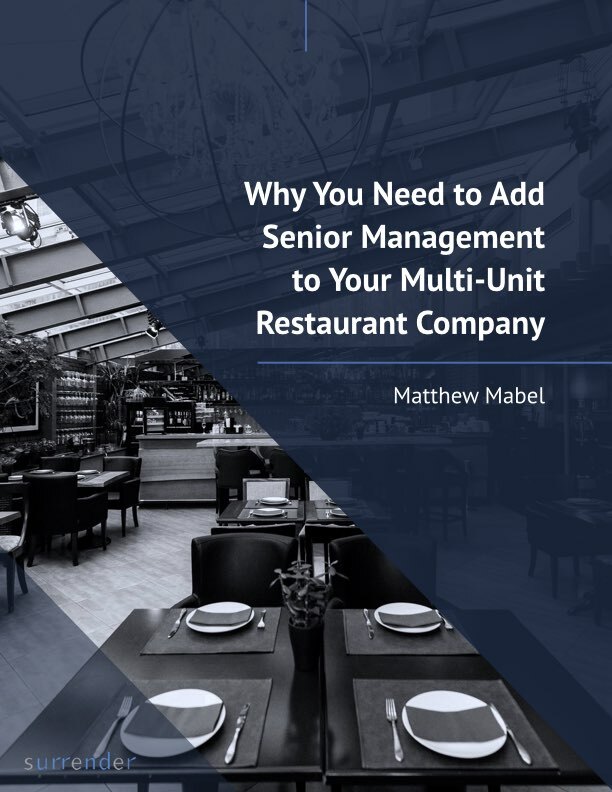 Commit to your management team to make the organizational enhancements that will bring about the life and company you envision. Invite them to challenge you if they see you ignoring or deviating from that plan. 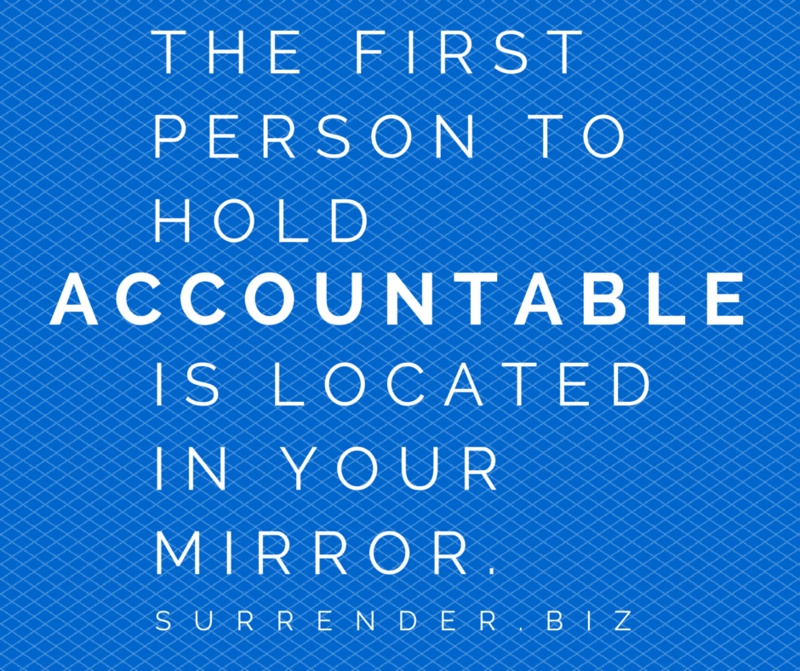 Your own team becomes your accountability partner. Break down initiatives into pieces that can be parceled out with timelines and checkpoints. Bring your team together periodically to evaluate progress and expect everyone to take deadlines seriously. That is what makes it real.